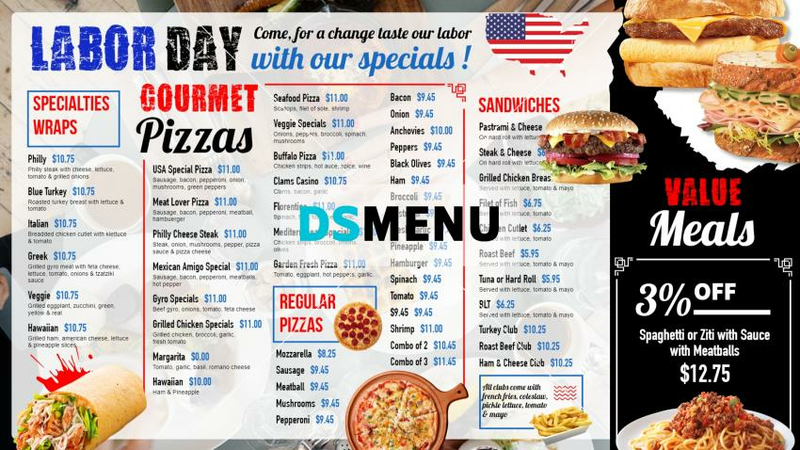 A great and stylish labor Day menu board. The white color dominance with blue and black lettering presents a great style and design. The black interface with graphics too lend variety and creativity. On a digital platform this menu board will be the talk of the town.